When faced with a need for quick cash between paychecks, Colorado residents need only to click on CashLoan.org from the comfort and convenience of their home computer and apply for a cash advance loan. The process is fast, easy, and confidential. 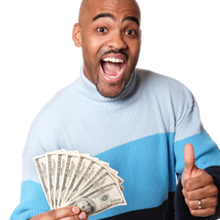 Simply fill out the application and within 90 seconds you can be approved for a cash advance loan. After the approval, it only takes about an hour for the funds to be deposited into your account. Now that’s service! Colorado state law stipulates that the borrower may not have more than one outstanding payday loan at a time. Lenders are authorized to offer payday loans based on checks written on a borrower’s bank account. Loan terms vary, but cannot exceed a maximum of 40 days. Colorado law permits one extension or rollover. Finance fees cannot exceed 20% for the first $300 of the amount borrowed and 7.5% of amount loaned in excess of the $300.